Dance is often described as "moving to music"! The only difficulty here is that many people do not have a good walking posture. A question - which part of the body moves first when starting to walk? - it's the head! The head moves, the body follows and then the legs and feet to support the body; otherwise you would fall over! ​The difficulty for many beginners is that they focus on feet - the steps. So, when learning to dance carry your body forward with the moving foot. Also, there is often a tendency to look down at the feet - this will throw you off balance because the head is heavy compared to other parts of the body. Keep you head level with the "lead" looking straight over the "followers" right shoulder with the follower looking over the leads right shoulder. There is a tendency, when regarded as the lead to assume this means "being in charge". What it really means is being responsible - being responsible for indicating to the follower the next position, i.e.next step. 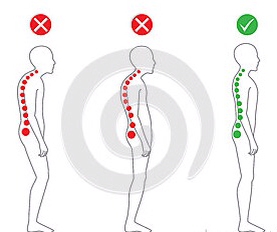 If the lead moves their body forward, the follower will naturally move their body back and will need to step back to support their body ( see Movement and Balance ). So the follower will need to sense the movement of the lead - not anticipate the next step. There are various holds in Ballroom and Latin American dancing. In both types it is important for the beginner to appreciate the importance of the hold, not just because it looks good but provides the "frame" that gives natural balance and helps the lead indicate movement around the dance floor. Important, it is not the responsibility of the lead to "hold up" their partner. Each dancer is responsible for holding their body in the appropriate position. Good practise for this is for both the lead and follower to take their respective positions separately, facing each other, and then move together as though fitting two jigsaw pieces. The lead places their right hand just under the followers left shoulder blade with the fingers closed and the hand naturally curved onto the followers back. The left arm is raised so that the lead's hand is a little above their shoulder level with the forearm bent slightly at the elbow. This may need adjusting if there is a significant difference in height between the partners. The follower raises their right arm to the level of the leads hand. 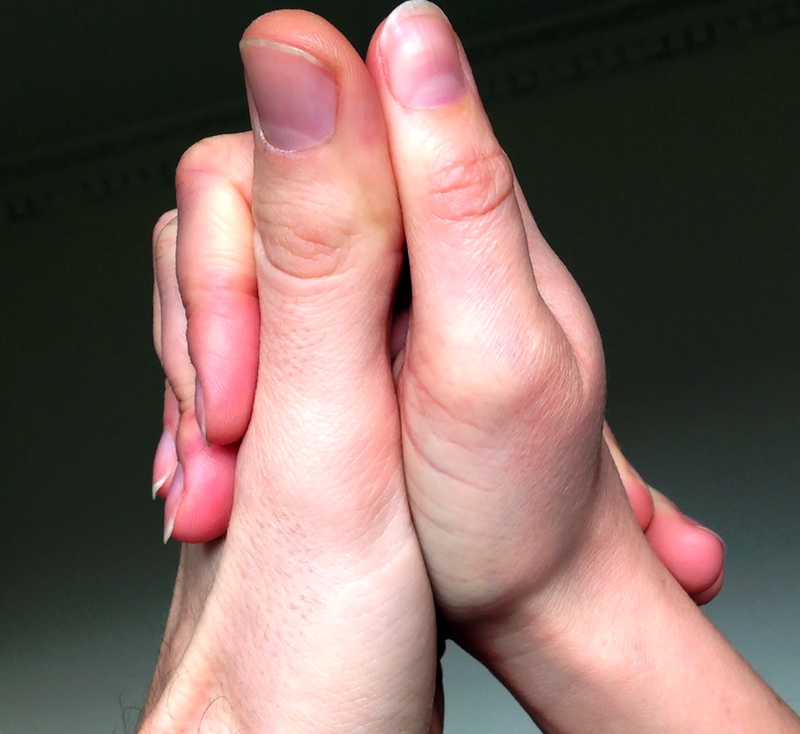 The hands are lightly joined, palm to palm, with thumbs meeting - no squeezing! The follower places their left hand on the leads upper arm without spreading fingers and keeps their elbow up so as not to hang onto the leads arm. 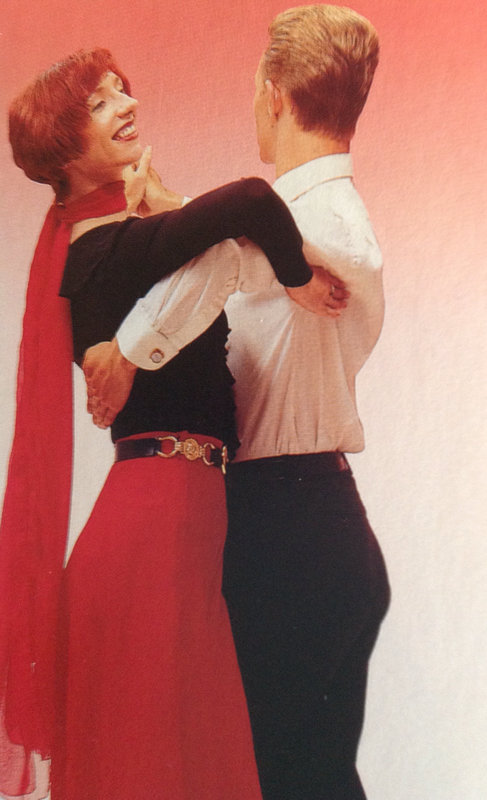 Image of Christopher Hawkins and Hazel Newberry, ref: The Joy of Dancing, Peggy Spencer. ​In the Latin hold there is a little more space between the partners. The lead will take their left hand slightly higher than the Ballroom hold, with the elbow more bent. The right hand will be on the followers shoulder blade, but for certain dances e.g. Salsa closer the the centre of the followers back. The follower places their left hand higher up the leads right arm, sometimes at shoulder height. Image of Christopher Hawkins and Hazel Newberry. ​NB This image has been reversed to show the position of the followers left hand and arm.